Happy Challah-days my friends! I wish I could say I was writing this post fireside, with a steaming cup of cocoa and nothing but snow in the forecast. But that would be a big fat lie. Because truthfully, I’m writing this post while laying down on a heating pad, nursing a lower back spasm spurred by wrapping too many gifts at awkward angles and mourning the general loss of my ab muscles this year. But that’s what the New Year is for, right!? 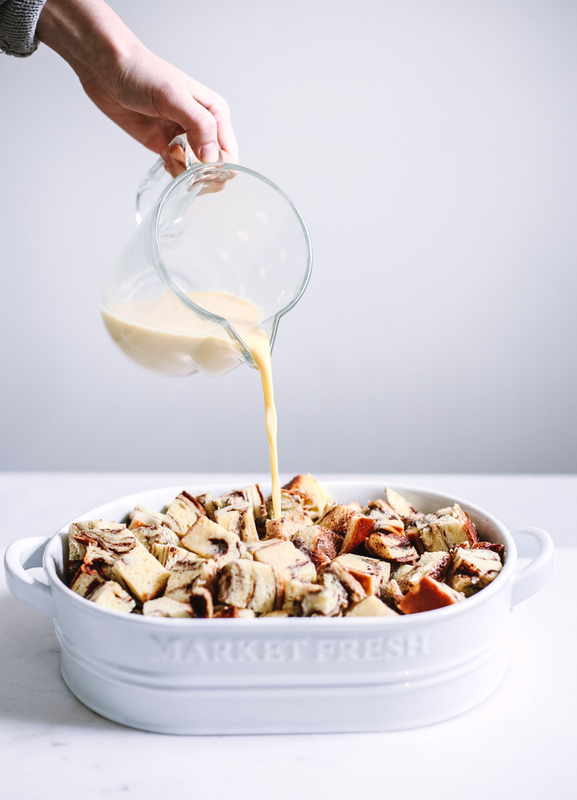 Until then, I’ve still got plenty of indulging left to do and that includes this heavenly French Toast Casserole made with this Cinnamon Challah Bread! This recipe is the star of my family’s Christmas morning brunch tradition and it’s one tradition I don’t think I could ever give up. 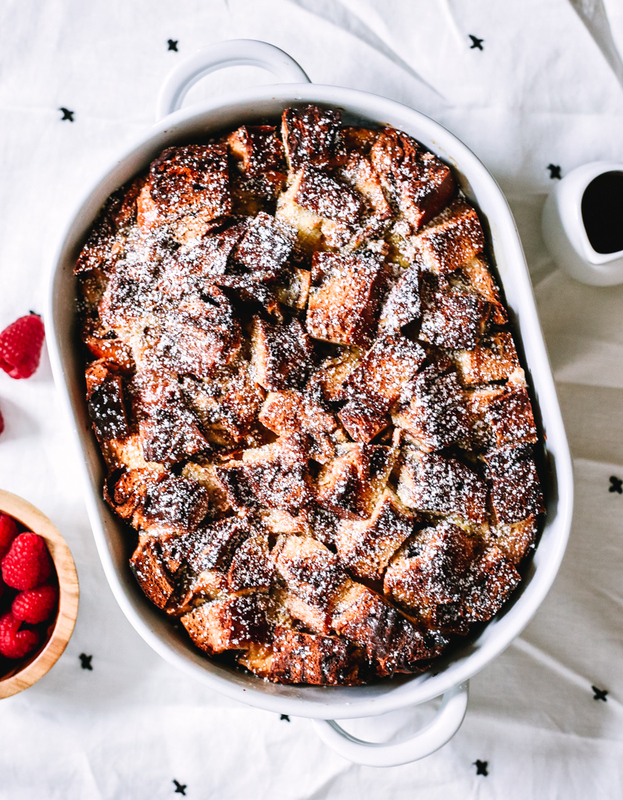 Our morning goes something like this: sleep in, have coffee in our pajamas, switch to mimosas in our pajamas and then gather around the table (in our pajamas) and dive into this freshly baked casserole with a side of crispy bacon and fresh fruit. It’s one of the happiest days of the year, one where we slow down, stay present and just be together as we are - and it’s always, always perfect. If you're thinking about incorporating this recipe into your holiday brunch or weekend lineup, I’m excited to tell you that it’s a cinch to throw together. In fact, it’s best if you prepare it the night before, let it refrigerate overnight and then bake it fresh in the morning. It’s the perfect dish for feeding a crowd and will make your house smell like a cinnamon-spiced wonderland! I like to serve it with fresh raspberries, a sprinkle of powdered sugar and a pitcher of warm maple syrup. And while it’s made extra special with this Cinnamon Challah Bread, you can easily use Brioche, French Bread or Sourdough. 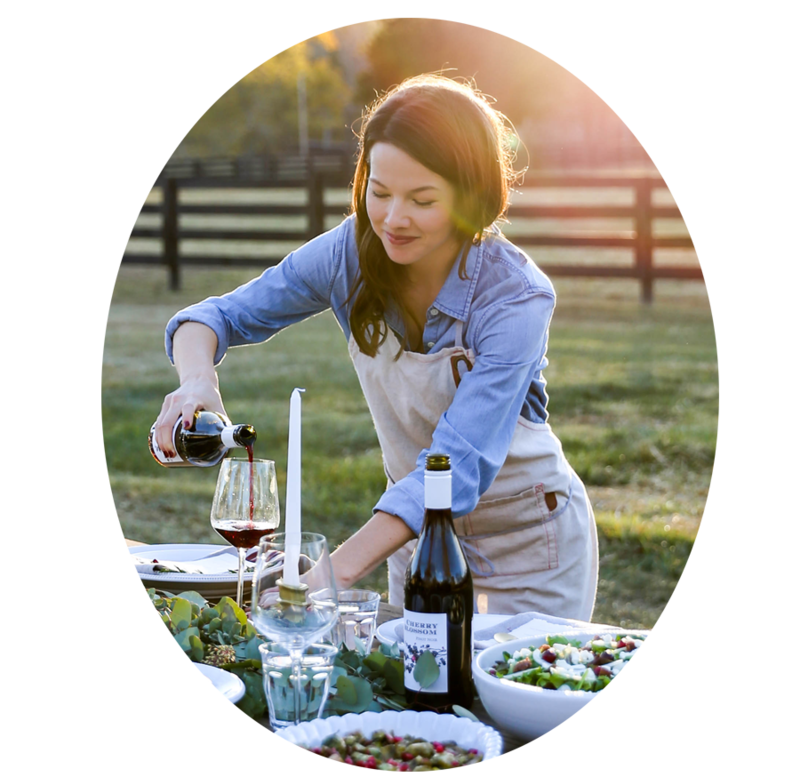 I hope you enjoy this recipe as much as I do and I’m wishing you the happiest of holidays! Grease a 9x13 (or 2.5 - 3 qt.) baking dish and set aside. Cut the bread into 1” thick cubes and arrange in the dish. In a medium sized bowl or large measuring cup, beat the eggs with the milk, sugar, salt and vanilla. Then, pour the mixture evenly over the bread in the pan. Cover with foil and let refrigerate for at least 1 hour, but preferably overnight or for up to 36 hours. When you’re ready to bake, remove from the refrigerator and let stand while you preheat the oven to 350 degrees F. Then, melt the butter and pour evenly over the top of the casserole. Sprinkle with cinnamon and a pinch of nutmeg and place in the oven to bake, uncovered. Check for doneness around 45 minutes, although it may take anywhere between 45 - 60 minutes depending. If you find the top browning too much, simply cover with foil and continue to bake. The casserole is finished baking when it’s golden brown and the egg mixture is cooked throughout. Remove from the oven, let stand for 5 minutes, then cut and serve. Enjoy!